Oohbah Butler is a journalist who writes for Vice. He used to be employed to write fake reviews on TripAdvisor, getting paid £10 for each review. 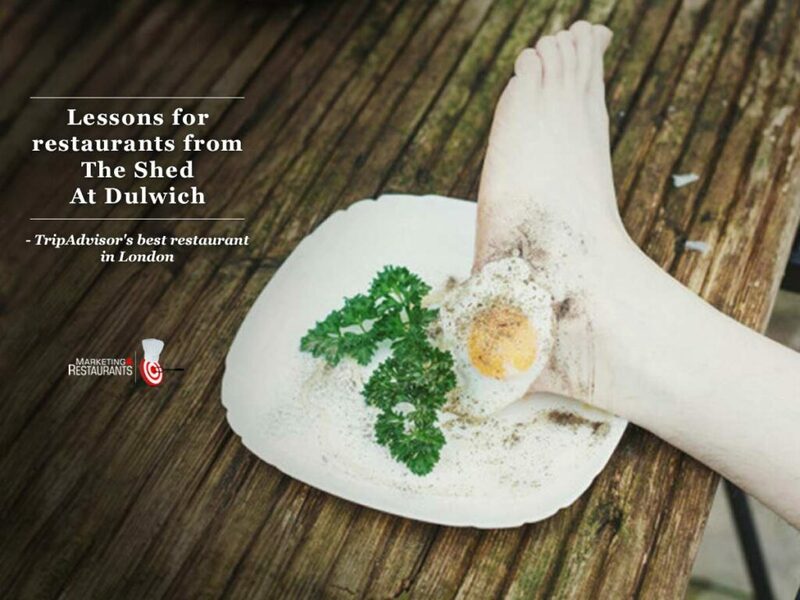 He had concerns about the impact that the fake reviews were having, so he created a crappy website for the Shed At Dulwich, a restaurant that only existed in the High Street of his mind and started getting his friends to write reviews for it. April 2017 – He set up the Restaurant and it is by appointment-only. His menu was based on emotions. He went from being ranked 18,000 to the top 1,500 restaurants in a couple of months. The phone starts to ring (he bought a burner phone for the restaurants). He often didn’t answer the phone, so people were thinking that they were very successful. Nothing gets a queue like a queue! If he did answer the phone, he said they were booked out for six weeks and hang up. August 2017 – Number 156. The restaurant is getting job applications. Gets the restaurant to number 30. There are people looking in the street for where it is. TripAdvisor contacts him and they are the number 1 restaurant on TripAdvisor. Oohbah decides to go to the next level, so he opens the restaurant for a night. Have a listen to find out how the opening night goes. His experiment was to see if a Fake Restaurant could be popular on TripAdvisor. There are important lessons for Restaurants about how platforms like TripAdvisor can be gamed and how you can use demand management to your advantage. This is also an example of the Emperor’s New Clothes. This also highlights the issues with the TripAdvisor algorithm and how it just doesn’t work. I’ve given up on TripAdvisor because of the number of Restaurants I’ve been to that are really highly rated on TripAdvisor, but the Restaurant turns out to be awful. There is a significant difference between Google and Facebook ratings and there could be an issue with people not given their real details making the reviews. Oohbah’s story on The Shed At Dulwich went viral when he came clean with what he had done. We also look at the the viral marketing from the White Moose Cafe and how their response created a different kind of viral response. Their approach was a lot riskier, but highly effective for them. There Facebook and Twitters are good to look at as they are the experts at Outrage Marketing. Our advice is to avoid Yelp entirely. It has very expensive marketing campaigns that some restaurants have found to be nearly useless.